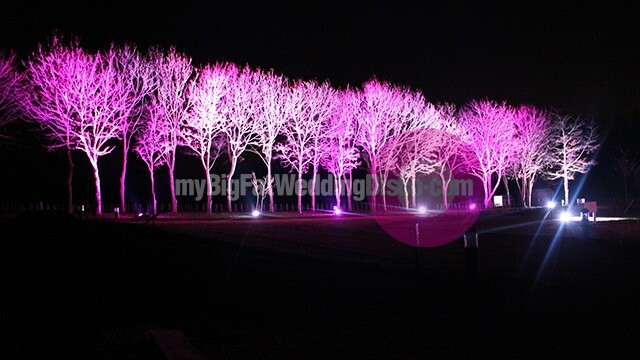 Create that wow factor for when your evening guests arrive – colour wash your wedding venue with our powerful, outdoor LED lighting! These lights simply speak for themselves when seen and are completely safe. We have a range of colours to match your wedding theme and imagination. If you’re interested in hiring our colour wash lighting, please get in touch with our team at MBFWD. We can help advise you on suitable locations and liaise with your wedding venue co-ordinator on your behalf.